Cross the width of Australia aboard the mighty Indian Pacific and experience the beauty of Western Australia’s diverse wildflowers. Exclusive to Holidays of Australia & the World. Indulge in the impeccable service on board the Indian Pacific. Witness spectacular displays of red and green kangaroo paw, banksias, bottle brush and orange flowering Christmas trees. 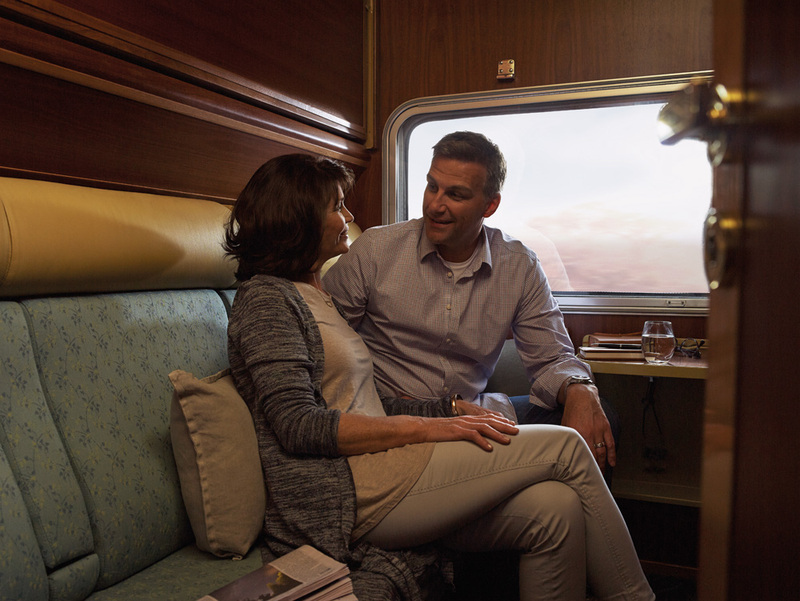 3 nights aboard the Indian Pacific travelling from Sydney to Perth in Gold or Platinum Service. 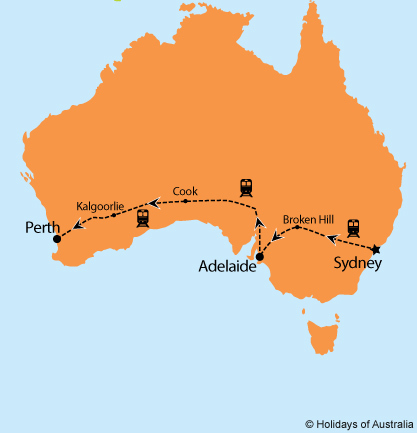 Your journey includes all meals, drinks and off train experiences in Broken Hill, Adelaide, Cook and Nullarbor. Transfer from East Perth Terminal to your accommodation. 4 night stay in Perth at the Pan Pacific Perth including breakfast. Morning Perth and Fremantle City Explorer tour. Full day Perth’s Best Wildflowers tour including lunch. Full day Wave Rock, York, Aboriginal Culture & Wildflowers tour.